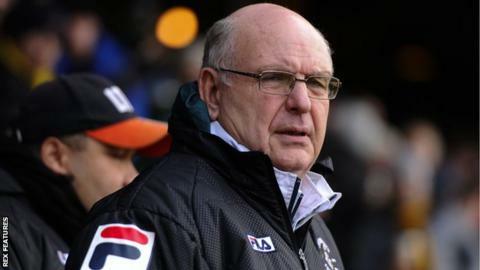 Luton Town manager John Still says Saturday's derby match against Stevenage in League Two is the type of game people are in football for. The Hatters travel to Teddy Sheringham's side having won the last three meetings between the two clubs. "I love these games. The games where there seems more on it, you can't beat it," he told BBC Three Counties Radio. "It gets the blood flowing. You're a little bit higher when you win and a little bit more down when you don't." He added: "They're the games you want to be involved in, the games you know are going to be face to face, competitive, maybe a bit of needle in it, it gives it a little edge. "As long as no-one oversteps the mark I think everyone loves to see a keenly-contested game with a little bit of attitude in it." While Still's side are currently just a point off the play-offs, Stevenage are struggling in 20th, having won three league games all season. Sheringham, who replaced Graham Westley at Boro in the summer, and Still know each other through ex-Ireland striker Tony Cascarino. And former England striker Sheringham paid tribute to 65-year-old ex-Dagenham boss Still's managerial career. "We had a lunch at the start of the season. It was nice to sit down with a manager that's been there, seen it and done it," said Sheringham. "He's got a lot of experience, and his teams play the way they do and don't really change a lot, and are very efficient in what they do. "It works for him and that's why he's still a manager, he's found that secret formula of doing well, getting results, moving on to the next game and getting results again."